– Following the drastic fall in the price of oil globally which has had a painful impact on the Nigerian economy, this budget focuses on developing the economy via industry, commerce and investment. – The budget shows the resilience of the Buhari administration to recover all looted funds in order to boost the economy. – The budget focuses on non-oil revenues by broadening tax base and boosting the effectiveness of revenue collecting agencies. – The budget focuses on reducing tax rate for small businesses as well as subsidized funding for agriculture and solid minerals, while stimulating the economy to produce jobs, . – Unlike in past administrations where oil was the main source of revenue, the 2016 budget states that non-oil revenues such as Company Income Tax (CIP), Value Added Tax (VAT), Custom and Excise duty and federation Account levies will contribute N1.45 trillion to the economy. 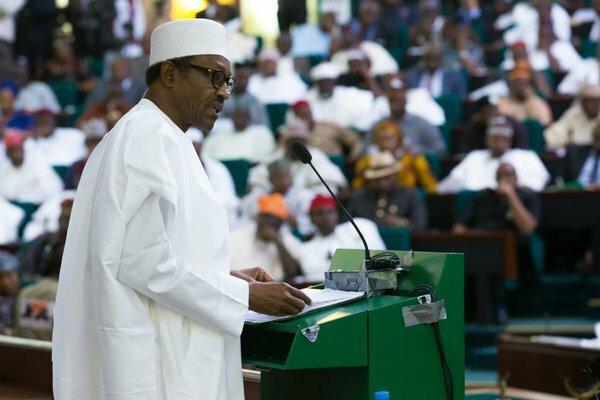 – Capital expenditure was increased to N1.8 trillion in the 2016 budget as opposed to the N557 billion in the 2015 budget, representing 30% of the national budget the first in many years. – Non -debt recurrent expenditure has been reduced by 9%, that is 2.59trillion in 2015 to 2.35trillion in 2016. Today’s Question: Do you think IGP postponing withdrawal of policemen attached to VIPs a bad omen??? Really changed is in progress. May Almighty Allah bless Nigeria.